Book cover. Zenana. 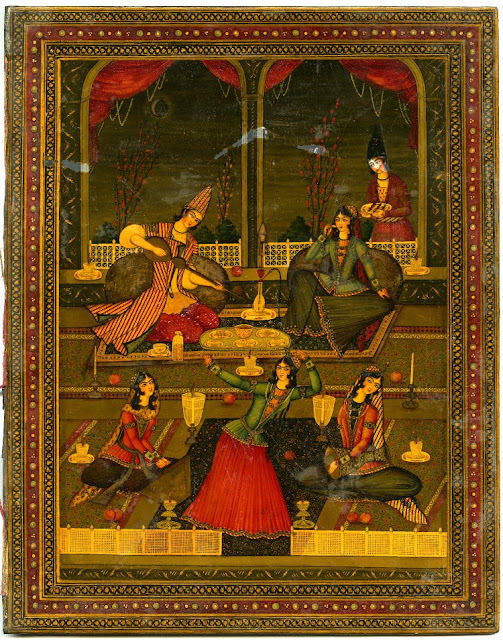 Night time harem scene showing a man with a woman and an attendant, musicians and a dancer. Lacquered on board (? ), papier mâché (?). Iran, Qajar dynasty, 19th century.